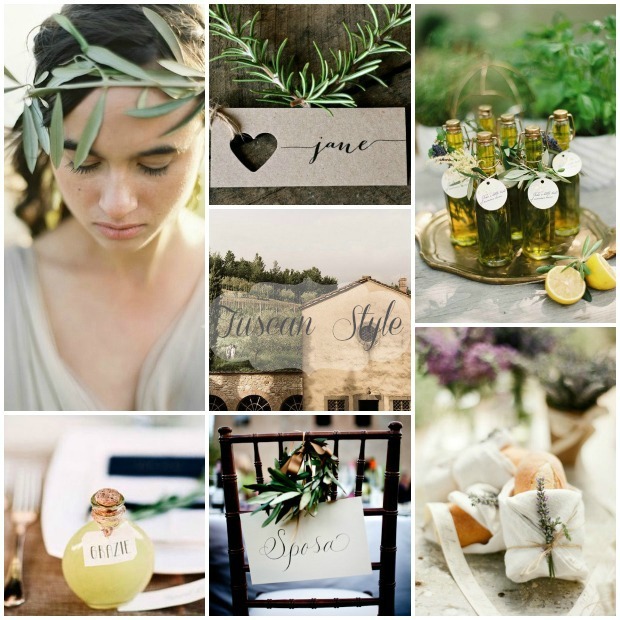 This is such an elegantly simple and romantic wedding inspiration board don’t you think? 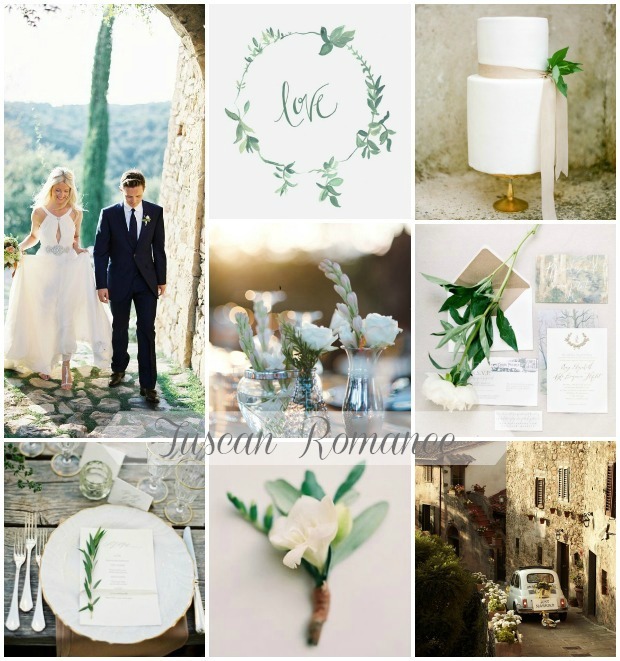 If you want to create a romantic Italian inspired wedding day, either overseas or on our shores, why not think about incorporating lovely neutral tones of creams, whites, champagne and perhaps an accent colour of latte, blush pink, pale peach or even dusky blue. 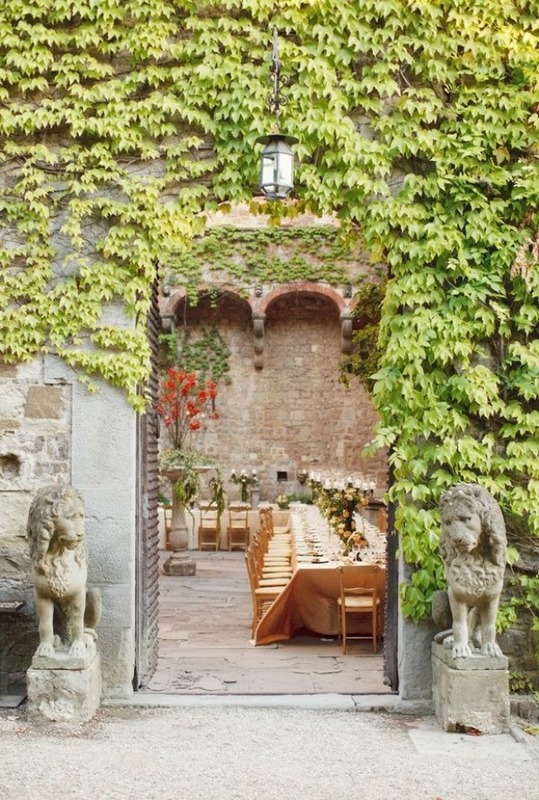 To create rustic romance, ask your florist to use romantic peonies or roses and mix them with olive branches. For your table settings and stationery, select a pretty calligraphy style font and use natural materials for decoration. 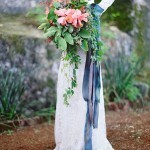 I adore olive branches, rosemary, lavender sprigs and twine. For wedding favours, sweet little herb infused olive oil bottles look pretty and make a nice gift too. Or how about mini bottles of limoncello to say thank you. I bet I have you dreaming of sunny Tuscan days now don’t I! I know I still am. 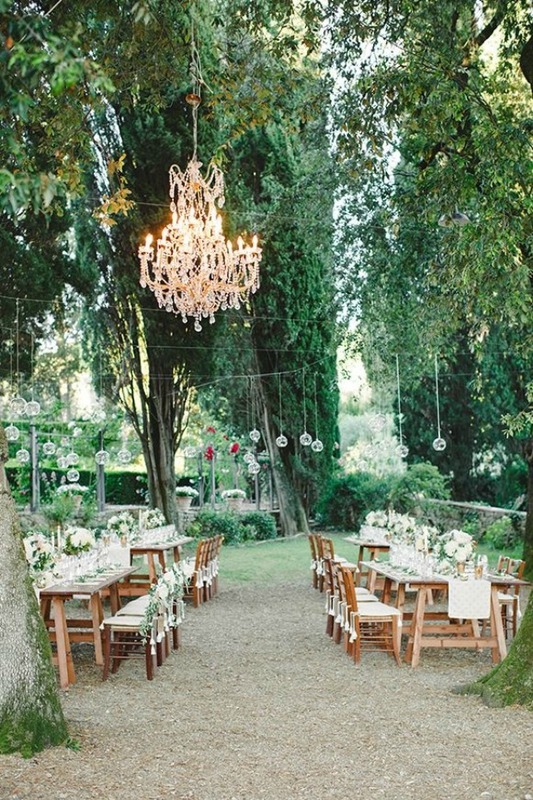 Are you planning a romantic destination wedding? Where are you flying off to? And… if you’re not, if you could choose any foreign destination, anywhere in the world. Where would you go? I love these colors! How classy and elegant! Do you know who’s the owner of the last photo? That location is beautiful, I’d love to find out more.